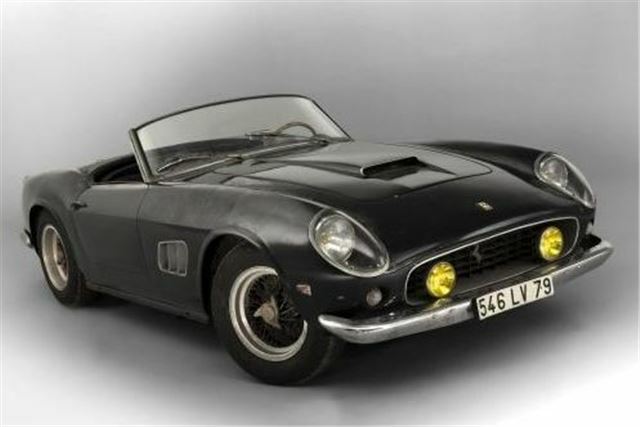 This 1961 Ferrari 250 GT SWB California Spider sold for £12.1m at auction in 2015. The car was part of Artcurial’s sale at Retromobile in Paris. It was part of the Roger Ballion collection and was sold in barnfind condition. Completely original, it is one of 37 California Spider SWBs with covered headlights. It was the model that appeared at the 1961 Paris motor show and once belonged to film star Alain Delon.